●Headquartered in Triple District, New Taipei City－TAILIDA Trade Building, service area in Taiwan. ●We establish the quality control and technical department to provide technical support and development,strive to serve our customers. ● We have the perfect technology testing platform and instrument. 1．Granite detection platform：Because of we promise the high-accuracy of the tolerances to our customers,the platform providing the base horizontal plane ofmeasurement to applicable to test the degree of curvature and straightness of ball screw, shaft, linear way, linear guideway…any inspection, so that the dataof the measured results more objective and accurate. 2．Technology platform for assembly：TAILIDA engineers must have actual operation techniques, they can solve the problem of the product in use, and may also make better R & D design insights reference to the customer, provide better service. 3．Deflection detector instrument：Whether generated deflection and shaking that it can be measured when the screw in operation, then extent to improve productionprocesses and processing quality. 4．Preload detector instrument：It's mainly used for measuring the value of the preload between the nut and the screw, depth meet customerneeds. 5．Quadratic elements detector instrument：It's used to the precise measurement of the object size and machining tolerances. ● In 1998, Establishment of Thailand Office－M.P.C CORPORA TION CO., LTD.
●In 2007, Establishment of Guangzhou, China Office－Guangzhou CYRUS Transmission Technology Co., Ltd.
CYRUS is a transliteration of the Latin form of the traditional translation of the Greek「Κύρος」. It symbolizes the sun and positive energy. 「Trying to serve our customers with wholehearted enthusiasm.」It is a common belief of TAILIDA all staff. We want to provide to customers Good Quality. Good Service. Good Efficiency. Since 1993, TAILIDA strongly effort to upgrade the quality inspection system and technical services, forward into the premier channel brand. The complete product line through TAILIDA combined domestic and international excellent manufacturers, provide customer the deep and wide market dynamic information, the high professional degree integrated technical services provided by the district engineer, and product information on the full 3D and construct APP, depth understanding of customer needs, save the time and cost of the customer product R & D and design products one-stop shopping. 1．Smooth cross-border logistics：We have the powerful cargo collection function, can solve single regional market Shortage problem. There are not only products and samples transceiver function, but also spot-check for the quality of the product. 2．Advisory role：We have a professional and a vast network of suppliers that can provide clients with the best R & D design recommendations and handle their demand product to the customer. 3．Enable an entity showroom and cyberspace show：Arrangement customers to visit the exhibition room and the cyberspace show is without borders, so that the visibility of our suppliers and the company's own products to the more enhances, it promote cooperation. 4.Let domestic manufacturers and customers exchanges of commercial information with foreign manufacturers and customers：Let domestic manufacturers and customers exchanges of commercial information with foreign manufacturers and customers, and then start a new trading opportunities. 1．Electronic documents has been fully three-dimensional visualization of product, we provide customized drawing and three-dimensional animation. 2．2D and 3D drawing file planning to upload to APP, so that customers feel mutual facilitation. 3．Certified by SGS：Rexroth Linear guide way and Rexroth Ball screw、CYRUS Oilless bush and CYRUS Linear guide. 4．QC department to set up an independent operation, with professional and technical detection platform and instrument purchase many precision measuring tools, more stringent quality inspection system to provide the best products. 5．The channel service more diversified, become a center for business operations. TAILIDA has the empathy to take care of the employees as well as caring for the community, employees can be taken care of by the perfect welfare, let us no financial worries, and then we can caring for others, all colleagues in our company each month spontaneous sustained donor activities, whatever you take from the society, use them for the society, and then it's growing continually, ensures the expectations of people living more and more happiness. TAILIDA will perform「Core concept, The quality management and three pillars of SMI, Caring for the community」of the above philosophy, that's are the concept of sustainable business development. Agent of transmission products topromote and sales. Components of the overall mechanical design and planning. The 3D PRINTER research and development, we provide technical services to our customers. 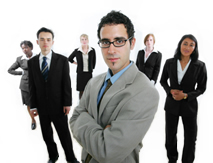 Marketing and planning products, as well as service customers in cyberspace. Actively carry out the role of the channel service, to help promote the products of foreign manufacturers. 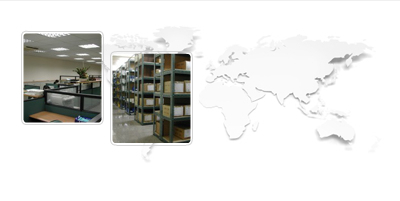 Our company was founded in 1993, it is the main agent of foreign well-known manufacturers transmission parts and each foreign factories as well as the domestic manufacturer jointly developed high-tech components, creating domestic manufacturers product upgrades more space. In 1998, establishment of Thailand Office－M.P.C CORPORA TION CO., LTD, promotion of the transmission elements. 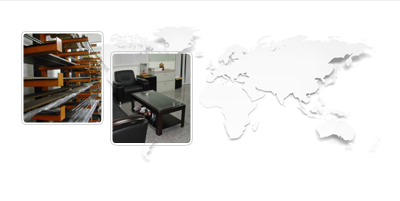 In 2004, Establishment of Shenzhen, China Office－Shenzhen Tailida Technology Co., Ltd. In 2005, Establishment of Malaysia Office－NIBOU INDUSTRIES(M) SDN BHD. 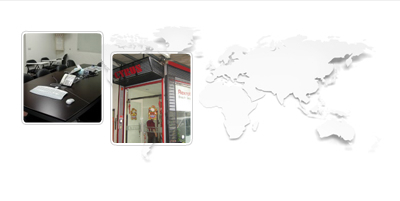 In 2007, Establishment of Guangzhou, China Office－Guangzhou CYRUS Transmission Technology Co., Ltd. The company is actively promoting the 3D PRINTER and the transmission components related applications, in order to have more of the applicable conditions and reduce costs, expect that predecessors constantly advise and support. In the Future, we will continue to provide more complete and diversified cyberspace services, the best quality of service committed to the enterprise e-Business. In the marketing process, our company fully in line with international professional standards and the national industry standard, and firmly believe that the design focus to high-quality, high durability, high security, regardless of high-tech precision equipment, distributors, resellers, motor technician, the facility equipment engineers and factories of internal and external, consensus CYRUS-LINEAR's product is outstanding than the same industry products, adoption TAILIDA high-quality, performance, manufacturing, sales and after-sales service, as well as functions quality products.